StevenD57 wrote: t4brew wrote: I had the same reaction to that system. So far I have acquired the ECM, chip, harness, throttle body, fuel rail, manifold, injectors, fuel pressure regulator, TPS, IAC valve,MAP sensor, coolant sensor, knock sensor, crank trigger wheel, trigger sensor and 02 sensor for $800. I also spent $20 for a chip definition file so I can modify the settings on the chip. I have already made changes for things like the fuel cutoff RPM, fuel return RPM, radiator fan temp on, radiator fan temp off, injector pulse constant for the S4S injectors and the speed sensor conversion. The GM ECM is very tunable. Tuning the VE and spark advance tables will take some time. The Quad 4 W41 spark advance table seems to be very close to the Lotus 912 advance curve. The VE tables may take some time to get right but should not be too difficult. I still have to purchase a high pressure fuel pump and the additional fuel line. Hopefully I can stay under $1000 for the complete system. The TunerStudio software for the Megasquirt ECU has an autotune feature that I have found to be very helpful for dialing in everything except the WOT part of the VE tables. I looked into the Megasquirt ECU and saw the autotune feature, that will save you a bunch of time. To tune the GM ECU I will need to need to drive and datalog the 02, MAP, RPM, and advance values and based on those modify the VE tables. 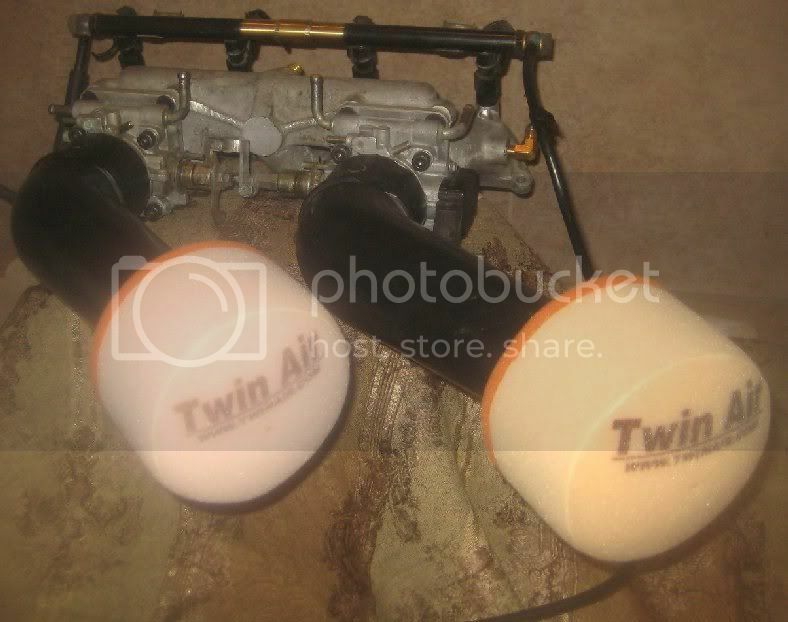 It would be much easier if the GM ECU had an autotune feature. I am gathering spare US style ZS intake manifolds to do a batch of the EFI conversion setups. I expect to offer these intakes with fuel injector bungs welded in, fuel rail, throttle bodies and possibly fuel injectors. This would be a near bolt on for conversion to fuel injection on a Jensen-Healey. The high pressure fuel supply and return stuff and the electronic ECU would be the other required bits. I also have a guy who specializes in making wiring harnesses and he seems interested in helping with some sort of engine harness for this as well. I want to get a batch of 6 or 7 manifolds together so my fabricator could do the machine work setup one time for a group of them in an effort to get the fabrication costs down. 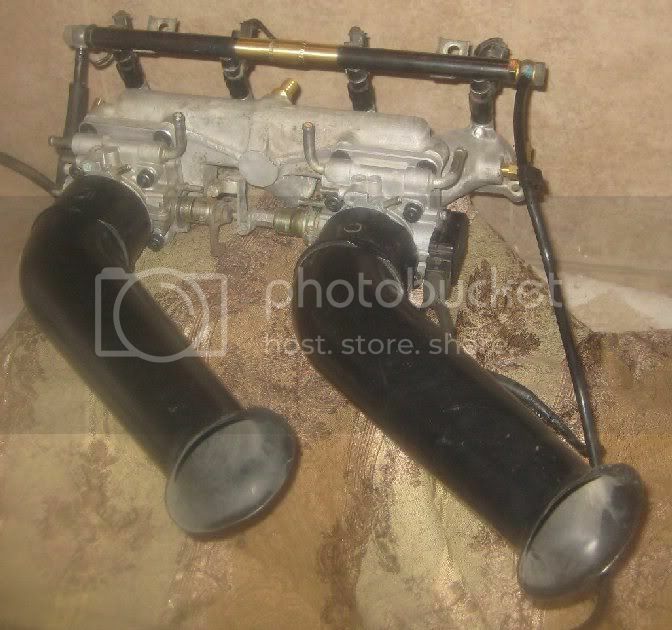 I have two ZS manifolds for you, gratis. Send me a PM with your address. 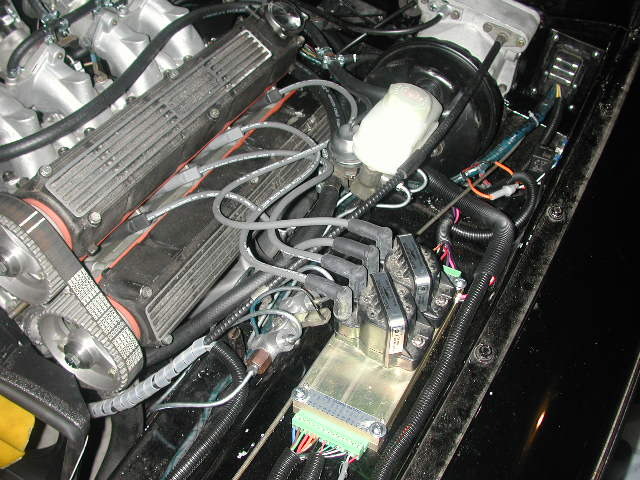 These photos show the fuel rail with high pressure (300psi) fuel lines with factory style banjo fittings, the throttle position sensor, the twin 2.125inch throttle bodies, and the way the fuel injectors mount into the intake so the fuel is sprayed directly down the intake port at the back side of the intake valve. 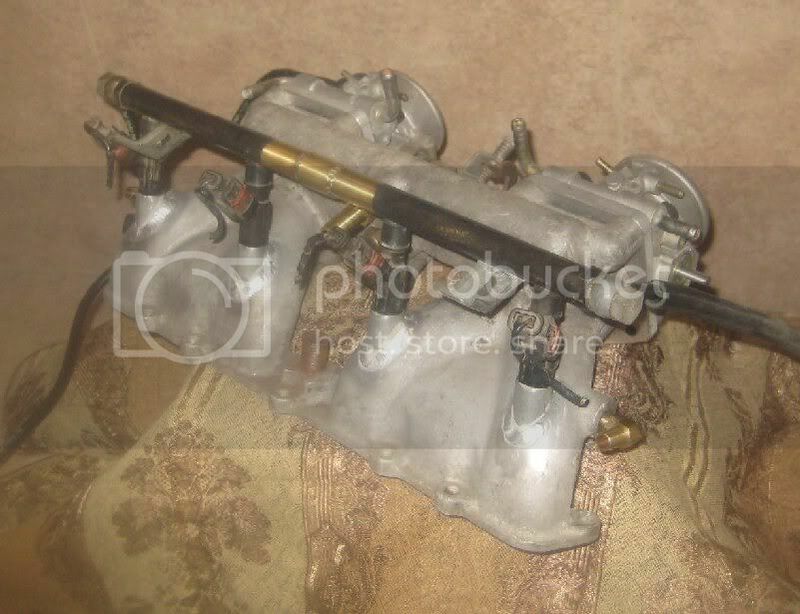 I ended up using some of the original linkage pieces from the OEM Zenith-Stromberg carb setup to properly connect the throttle shafts of the twin throttle bodies together while allowing for adjustment or any slight mis-alignment of the throttle bodies. Plus the original throttle cable should just hock right up with little or no modification. I too have been building a fuel injected Jensen Healey. My car is not different from Steve’s in theory, and in fact there are many steps I took to achieve a running car which I could not have done without Steve’s help and guidance. However, my car is a bit different in execution, using all new components which can be purchased and replaced easily. First a word of background. The project I am working on was started about 15yrs ago by the car’s owner (I’m simply acting as the mechanic trying to finish the project). At that time, the engine lost compression and a decision was made to rebuild the engine to 2.2 liter specification and hot 104/107 cams. 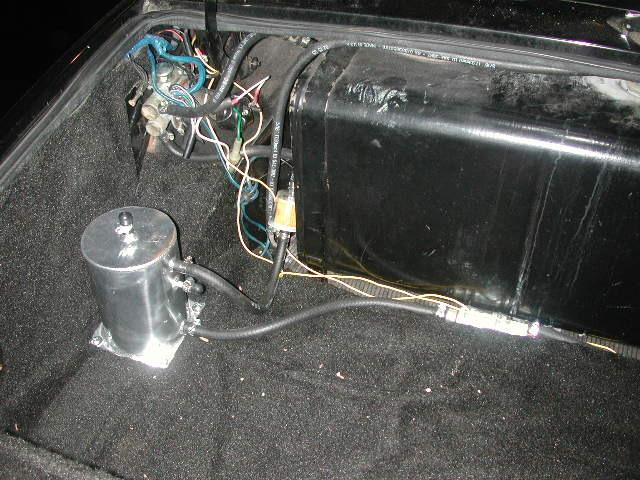 In an effort to improve drivability given the aggressive set up, it was decided to pursue fuel injection, and by default, crank fired ignition. (You can have crank fired ignition without injection, but not the other way around.) 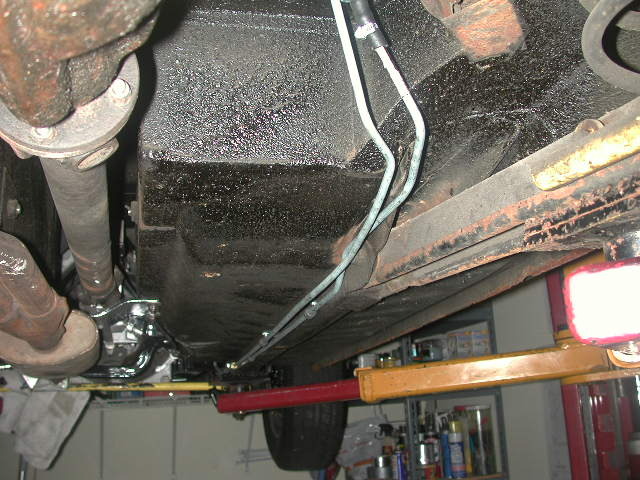 All the components were purchased, the engine rebuild completed, and then the car sat in the garage until this past winter when I took possession of the car and began rebuilding. Here’s what we’re using and what’s been done. This is not a plug and play project. While the components are available off the shelf, the putting of those components together requires a bit of re-engineering of the car. Nothing outlandish, but at least work and time. 1. Electromotive CFI and fuel injection. (http://www.electromotive-inc.com/) This is a TEC2 unit, which was state of the art when purchased in 1998, but for which electromotive now sells far more advanced units. Nonetheless, it includes the coils and allows for laptop control of the fuel injection maps. 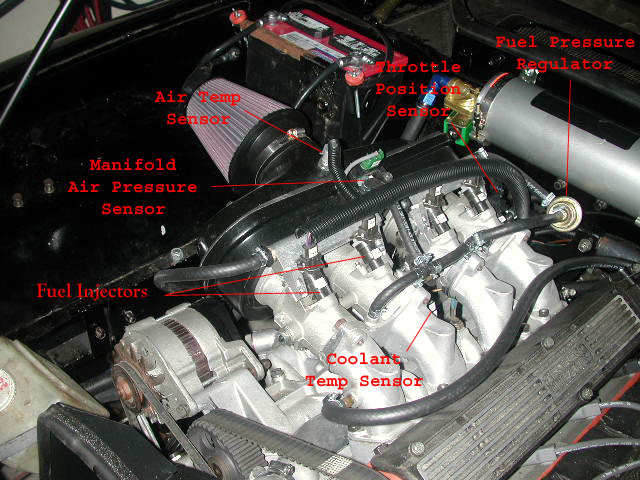 It interprets inputs from the following sensors: crank position sensor, throttle position sensor, coolant temp sensor, air intake temperature sensor, manifold air pressure sensor, and O2 sensor. Outputs include: tachometer, high pressure fuel pump control, check engine light, and of course the fuel injectors. Electromotive is the source of all the sensors, injectors, etc. 2. Throttle bodies and fuel rail from TWM Induction (now a subsidiary of Borla Induction, http://www.borla.com/products/induction/). These are Weber DCOE style throttle bodies and are engineered to accept a variety of fuel injectors and allows easy mounting of the critical throttle position sensor. The entire setup bolts to the standard Dellorto intake manifold and will accept the standard air-box and filter arrangement. 3. Vacuum regulated fuel pressure regulator. 4. Rebuilt tachometer from West Valley Auto Electronics to work with the output from the TEC2. 5. 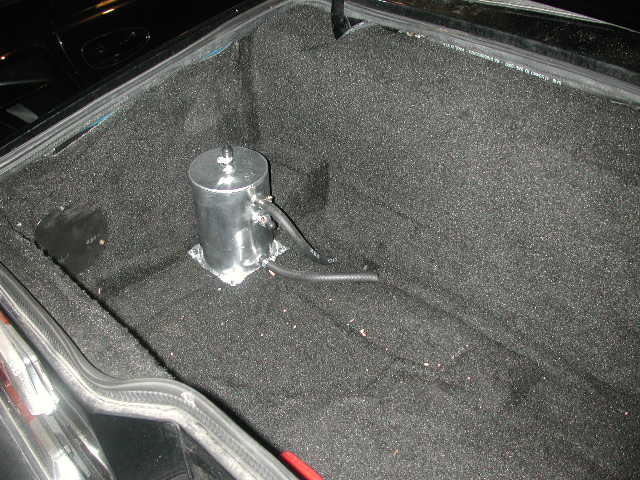 Swirl pot / surge fuel tank mounted in the trunk, fed by the standard low pressure fuel pump to allow a source of fuel for the high pressure pump without accidentally sucking air due to slosh as is apt to happen in the main tank. 6. New 5/16 steel fuel lines, both delivery and return. These follow the path of the original line and the vacuum return line, but for convenience, the direction of flow is reversed. 7. Wiring harness. This was an undertaking as the harness was built from scratch, although I’m told with newer Electromotive systems, readymade wiring harnesses are available. 8. Mounting of the toothed wheel and crank position sensor. This required a bit of engineering. The toothed wheel was installed by the engine builder. The sensor mount I made myself using sheet steel. It’s rigid enough, but not nearly as nice as Steve’s, whose is a work of art. A word about the manifold air pressure sensor vs. a mass airflow sensor. The electromotive unit will accept input from either. All modern vehicles use mass air flow. It’s probably better and more accurate, but requires tight control of air flow. In other words, absolutely no leaks. Manifold air pressure sensing requires the same, but by design is a more forgiving and thus we chose it for our application. In a word, it’s much easier to install. As of about 4 or 5 weeks ago, we have a running car. 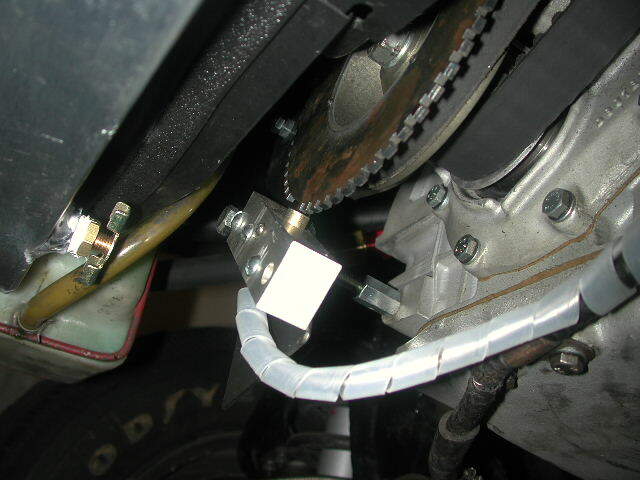 By entering basic parameters into the Electromotive computer, injection and timing maps are created which will allow the engine to start. Very rough tuning can then be done using the rich / lean meter seen on a connected laptop computer. But to tune it properly beyond that, requires a dyno and experience. The plan is to bring the car to a tuning shop and tune it on the dyno. My understanding is that this is the only way to do it. The attached pictures I think tell the story well. Hope this helps anyone thinking of taking on such a project. Great write up Ross! Thanks for the pictures and video. Did you have a wide band O2 sensor installed? 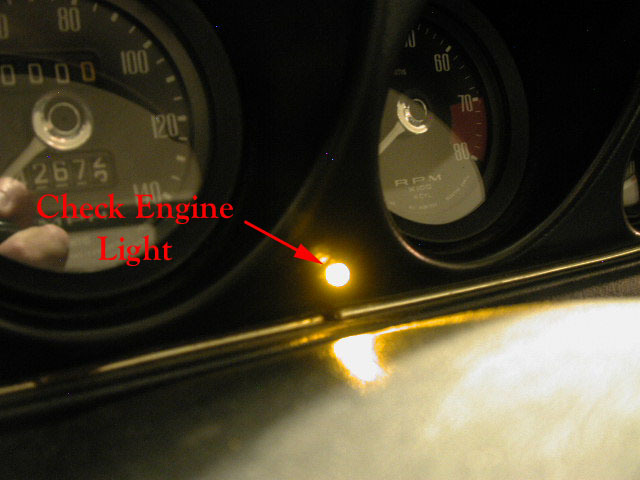 BTW, with other engine management ECUs, it is possible to have fuel injection with standard ignition. Also as I have told Ross the tuning part with the Megasquirt ECU and TunerStudio software is much easier because of the autotune and data logging features of the TunerStudio software and Megasquirt ECU. My installation only really needed a little dyno time to tune the wide open throttle part of the fuel map at the very top of the RPM range for the engine. Thanks! Yes, I forgot to mention the O2 sensor installed in the exhaust. This allows immediate feedback of rich / lean mixture. Reviving this old thread for some possibly great news! I have at regular intervals been nagging the people at EightStack (http://eightstack.com/) for a DCOE/DHLA sidedraft version of their stealth throttle bodies. This time they replied that they are working on it, and are expecting release around summer next year! 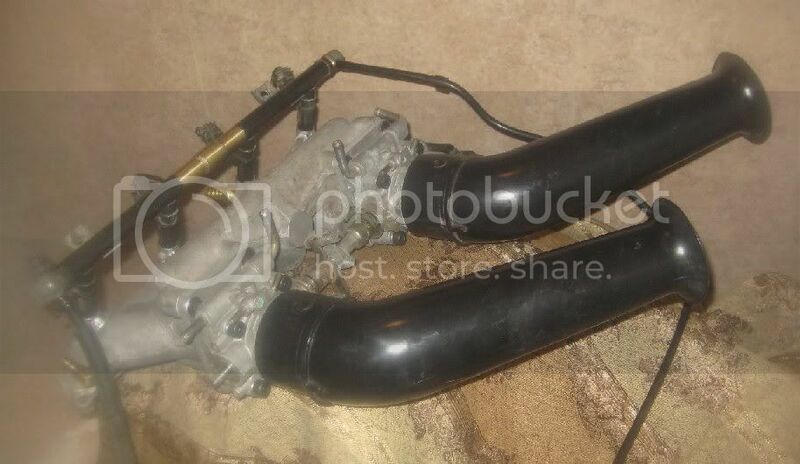 I need a spare Stromberg intake. If you have one or decide not to modify tht one, I'd be interested. 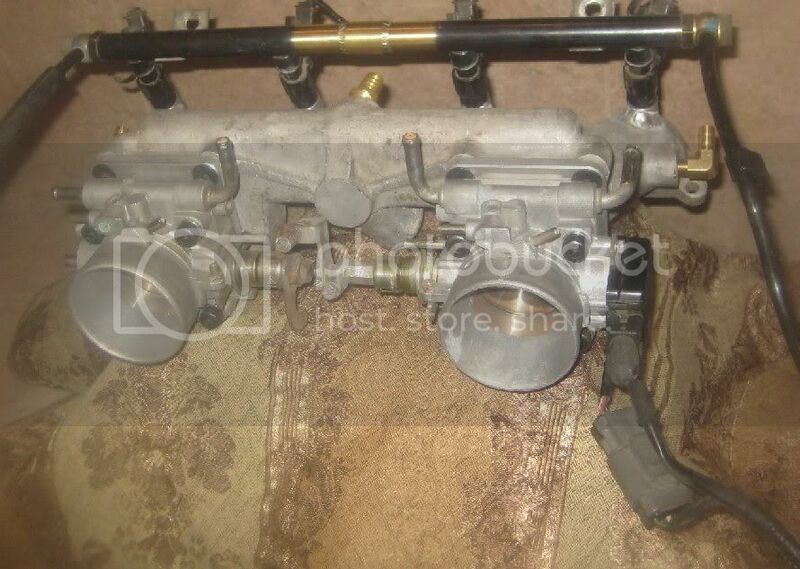 Hi Frank, I have a spare intake manifold for you. I sent you a PM.